PCN Flight West: DL Capt. John F. Hofbauer Jr.
DL Capt. John F. Hofbauer Jr.
We are having his funeral this Saturday, June 17th in Gloucester, NJ. We are also celebrating his life in Greenville, Maine by honoring him at the 2017 Seaplane Fly-In September 8th and 9th. John "Jack" Frederick Hofbauer, Jr., 77, husband of Jane Ellen (nee Dunn) Hofbauer, of Gloucester, NJ passed away unexpectedly on January 30, 2017 in Daytona Beach, Florida. Born in Camden, NJ on October 20, 1939, he was the son of the late John Frederick, Sr. and Margaret Ann (nee Angus) Hofbauer. He was a graduate of Gloucester Catholic High School, Gloucester, NJ and Embry-Riddle Aeronautical University, in Miami, FL. In 1955, at the young age of 15, Jack enjoyed his first trip to Maine to hunt with friends, experienced his first seaplane ride during this trip, and this event began his love of flying floats, inspiring him to obtain his pilot's license. After serving in the US Army's 272nd Signal Corps in Alaska, he moved his young family to Greenville, Maine and continued his dream of being a bush pilot. His passion for flying floats prompted him to start Jack's Air Service, Inc., Moosehead Lake, Greenville, ME. He expanded his career in aviation into the airline industry flying for Northeast Airlines as flight engineer progressing to first officer with Delta Airlines. It did not take long before Jack was sitting left seat as a 727 Captain. After 33 wonderful years with the airlines, Jack continued enjoying bush flying long past his retirement from the airlines. In 2016, Jack was thrilled to be celebrating his 45th year operating Jack's Air Service, Inc. The family is honored to continue operating Jack's Air Service, Inc. to carry on his legacy. Jack was proud to serve on the Greenville Airport Advisory Committee as well as the Greenville International Seaplane Fly-In Committee, of which he was instrumental in coordinating the Formation Fly-By activities. He was also a proud supporter of various local organizations including the Moosehead Marine Museum, Kiwanis Club, Knights of Columbus, and American Legion Post 94. Loving husband, Dad, Pop-Pop, U.S. Veteran, pilot, civil servant, world-traveler; throughout his life Jack was a unique adventurer, whether land, air or water. He was an avid hunter and fisherman, antique car aficionado, and enthusiast of both world and military history, as well as all things aviation. His passion, resiliency, and driven personality enabled him to fulfill his many goals and lifelong dreams. A truly extraordinary individual, Jack lived life to the fullest. He is survived by his wife of 53 years, Jane Ellen (Dunn) Hofbauer, his three daughters, Tara-Lee Jane Hofbauer-Guptill and husband Ron, Christy Lynn Hofbauer-Meyers and husband, Bill, and Heather Lisa Hofbauer-Brown, and husband Josh; grandchildren Samantha, Zoe and Logan Guptill, William, Anthony, Tristan, Marek and Ian Meyers, and Ethan, Reese and Alden Brown; brother James John Hofbauer and wife, Eleanor, sister Donna Mary Hofbauer, and families. Relatives and friends are kindly invited to attend his visitation on Saturday, June 17 from 10 am to 11 am with Mass of Christian Burial 11am in Saint Mary’s R.C. Church: 426 Monmouth Street, Gloucester City. Inurnment with U.S. Army Military Funeral Honors in New Saint Mary’s Cemetery, Bellmawr. Condolences and Memories may be shared at www.mccannhealey.com under the obituary of John Frederick Hofbauer, Jr.
A Post Everlasting Service will be held in Jack's honor by the American Legion Post 94 in Greenville, Maine for Family and Legion Members. A Catholic Memorial Mass will be held by Holy Family Catholic Church, Greenville, Maine this summer (date TBA). Contributions may be made in his name to Gloucester Catholic High School, 333 Ridgeway Street, Gloucester City, NJ 08030 http://gchsrams.org/Wordpress/?p=10085 - or - to the Greenville American Legion Post 94, P.O. Box 1222, Greenville, ME 04441. Please write in memo: John Frederick Hofbauer, Jr. I spoke with Jack's Daughter Christy this morning. Jack died suddenly while lying in bed. Funeral plans have not been completed as yet. His obituary is still being written. NEA/DL Capt. John ‘Jack’ Frederick Hofbauer Jr. Notification with the passing of Delta Golden Wings member retired Delta pilot Captain John F. Hofbauer Jr., age 77. 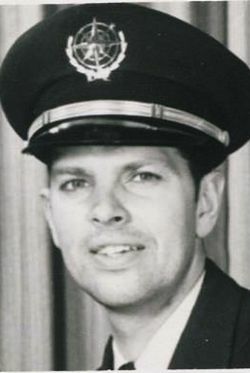 Captain Hofbauer joined Delta Airlines 09-03-1968 and was based Boston, then JFK/030 at the time of his retirement. As more information is received we will be sure to update our memorial site. John Frederick Hofbauer, 77, Daytona Beach Shores, a former Delta airlines pilot, died Monday. Jack started his Air Service in 1971. He was trying to get hired by any of the major airlines back then and in the mean time flying for the other local companies in Greenville. One of Jack’s friends suggested he start his own company and that’s what he did. It wasn’t too long before Jack was hired by Delta Airlines and in the summers he would also fly floats around Moosehead Lake. At times he had other pilots working for him as the business grew.